The ability to influence the research direction and agenda of talented faculty and internationally recognized experts at three world-class universities. The members meet biannually to identify R&D needs and select faculty proposed projects for Center funding. Co-funded collaborative R&D at lower cost. Leveraged R&D, with membership fee recent leveraging factor of 60! for individual company members. 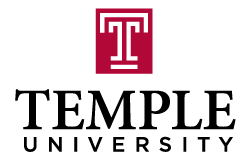 Member companies can make use of the Water Technology Innovation Ecosystem (Water-TIE) at Temple University, established by funding from NSF AIR program. This includes pilot test units for various water treatment technologies (absorption, ion exchange, oxidation, ultrasound, bioreactors), on-line sensors and the WET Center state-of-the-art analytical instrumentation lab. This is useful in quickly testing combinations of treatment technologies to be applied to unique water treatment challenges. Access to University researchers and students. Highest quality labs & equipment. Individual/confidential projects possible but funded separately. For more information on membership contact Rominder Suri or Erin Dalius at the contact information below. Copyright ©2016 Water and Environmental Technology Center. All Rights Reserved.